Starting with their regular meeting on Nov. 5, the Sarasota City commissioners will begin their afternoon sessions at 1:30 p.m., they agreed on a 3-2 vote this week. That will be an hour earlier than the 2:30 p.m. opening specified in the city’s Rules of Procedure. Mayor Liz Alpert, Vice Mayor Jen Ahearn-Koch and Commissioner Hagen Brody approved the change, while Commissioners Shelli Freeland Eddie and Willie Shaw opposed it. Last year, after they found many of their meetings lasting well into the night — with more than few extending past midnight — the board members talked about ways to conclude their agendas earlier. On Sept. 5, 2017, then-Vice Mayor Liz Alpert first brought up concerns about the effects of the long hours on staff, the board members and the public. That session, in fact, did not adjourn until 12:05 a.m. on Sept. 6, 2017. The commissioners revived the discussion on Oct. 2, 2017. However, they reached no consensus after those two discussions. Finally, on July 10, during an informal City Commission meeting, the majority indicated a willingness to entertain the idea of advancing the starting time of the afternoon session by one hour. They asked staff to look into that possibility and related considerations, such as setting 9 p.m. as the ending time for meetings and continuing agenda items, if necessary, until the next regular session. Each evening session begins at 6 p.m.
During their regular meeting on Oct. 1, City Attorney Robert Fournier referenced the July comments, noting that the city’s Rules of Procedure call for the afternoon session of a regular meeting to begin at 2:30 p.m. and end at 4:30 p.m. However, he said, the Rules of Procedure also give the commission the option of waiving or suspending those rules. If the board wanted to adjust the starting time of the afternoon session, he continued, it could do so with a vote. More in-depth changes to the Rules of Procedure would necessitate the drafting and then passage of a resolution, Fournier added. Alpert and Vice Mayor Ahearn-Koch both indicated that they would like a more detailed discussion about other concerns regarding the city’s Rules of Procedure. Perhaps the board’s next informal meeting — set for 3 p.m. on Tuesday, Oct. 9 — would be the best forum for that, Alpert said. An attorney, Freeland Eddie told her colleagues that she would have to miss that session because of a scheduled appearance in court. However, she continued, she would provide her comments via email in advance of that session. 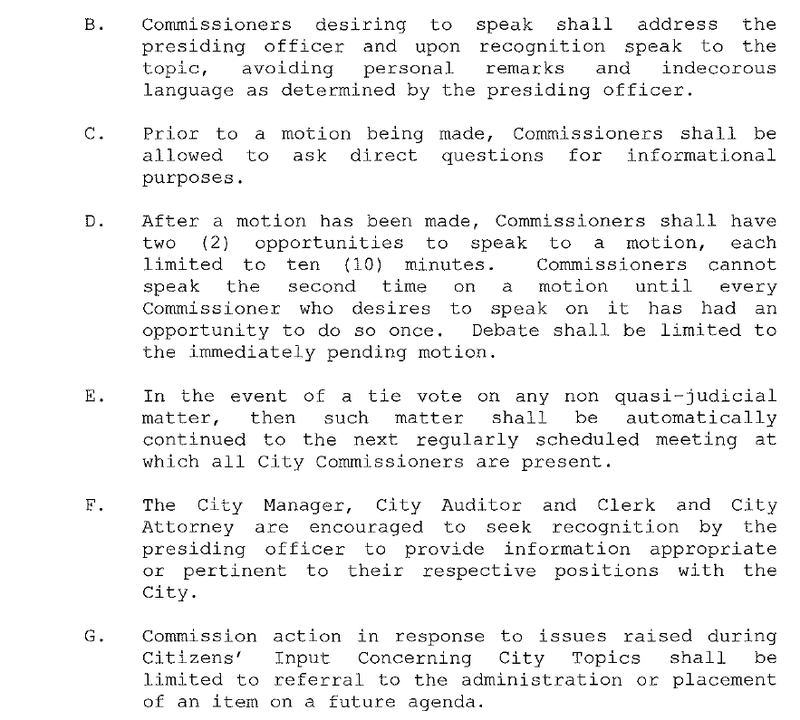 Then, when Alpert asked about a motion for changing the starting time for regular meetings to 1:30 p.m., Commissioner Brody made it and Ahearn-Koch seconded it. The informal City Commission meeting on Oct. 9 will be held in the SRQ Media Studio in the City Hall Annex, which is located at 1565 First St. in downtown Sarasota. It is scheduled to conclude at 5 p.m. 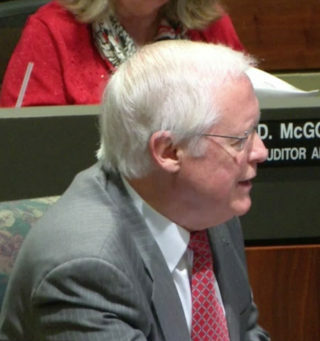 He suggested trying to create a “more compact schedule” to ensure shorter sessions, similar to the scheduling of matters in the Florida Legislature. As for past arguments that holding meetings in the daytime would prevent people from attending them, Alpert continued, “I think it’s more of a hindrance” to people to have to stay until 10 p.m.
“Many, many other cities do this without a problem,” she added of setting an earlier starting time. The current annual salary for a city commissioner, as determined by the City Charter and the Florida Statutes, is $27,504.34, city Communications Specialist Jason Bartolone told The Sarasota News Leader in an Oct. 2 email. Members of many local government bodies that have morning starting times either are considered to be in full-time positions, Freeland Eddie pointed out during the July discussion, or the local governments provide higher salaries for them. 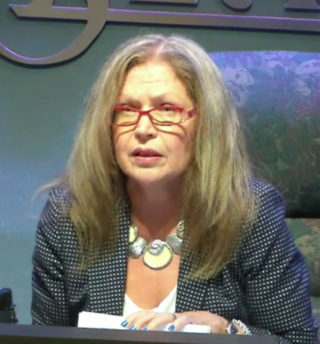 Furthermore, “A lot of folks do not have administrative jobs [in the city of Sarasota],” she continued, so they are unable to leave work to attend a City Commission meeting. “We certainly can look at tightening up the discussion, if possible,” Alpert agreed. “Have we formally adopted Robert’s Rules?” Brody asked. “Yes,” City Attorney Fournier replied. She referenced a photo she had seen of a daytime Sarasota County Commission meeting, with the chambers full. “Did you see many of the people in the working class?” Shaw asked her. “We don’t see that many people in the working class in any of our meetings,” Alpert replied. “That’s not true,” he told her. As a neighborhood association leader prior to her 2017 election to the commission, Ahearn-Koch said, “I was happy that the meetings were at night.” She also has her own business, and she is a mother, she pointed out. Thus, nighttime sessions worked well for her, she added. Brody then announced that he would be willing to consider moving up the starting time of the afternoon session to 1:30 p.m. Finally, the board members agreed to let staff review the Rules of Procedure and come back to them with comments for further discussion.